Ordering is done online through a secure shopping cart method. We can also help you enter this and process it if you are having difficulty. Creation of an account is optional and is something you do yourself - see START HERE tab. You can checkout without forming an account, or you can form an account first before checking out. If you form an account, WE DO NOT store credit card information with the account. We encourage you to contact us to discuss your needs first before ordering. To see our response time, always check the SUPPORT AVAILABILITY STATUS. Canada: Checkout will include shipping, insurance, appropriate GST/HST, and total in Canadian dollars. Outside Canada: Checkout will only include shipping, insurance, and total in Canadian dollars. Fedex will collect any duty and applicable taxes from you for your order. Before Ordering: If you are ordering from the U.S., some customers need to get a bank authorization for their credit card to order from Canada if they haven't been using it outside the US. 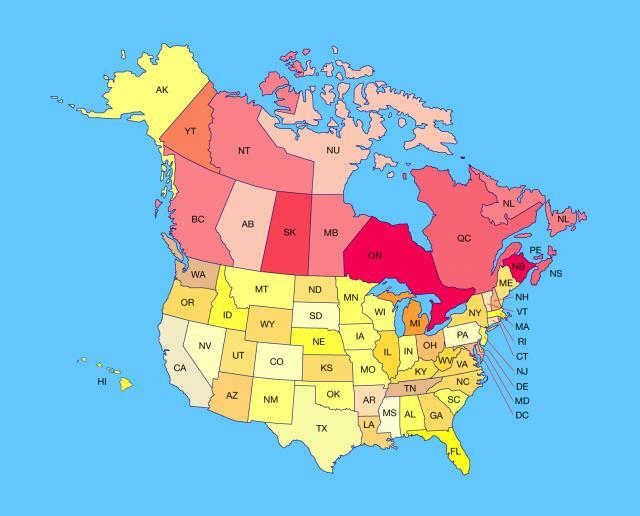 We are located in Ontario, Canada, just north of New York state. Order placed: Production of fixtures typically ranges from 1-10 business days. Call us if you want to get an estimate of time or to let us know if you are in a rush. When you successfully place your order, you get an email that has a subject DelphiTech Corporation: Your order #xxxx has been processed. Order shipped: When your fixtures are completed from manufacturing, the order is packed and shipped. You receive an email with subject DelphiTech Corporation: Your order #xxxx has been completed. It will include carrier and tracking number. Also, besides receiving the one-time emailed notice with tracking number when your order ships, if you formed an account before ordering login to your account, click "My account" in the upper right of your screen, go to Orders history, find the order number, click on it and scroll to the bottom to see a tracking number. You can go to the website of the carrier and use their tracking tool. Usually when we ship, the order doesn't show up in their shipping tracker until later in the evening or the next day. To avoid confusion, we only perform ship complete orders. If you wish to get particular stock items quicker other than built-to-order fixtures, you must make that a separate shipment. An example might be new construction where you wish to purchase wire to pre-wire a home. If you wish to purchase your wire locally that is fine too. Just find something that conforms to the specs we show on our Wire page or call us for further information and manufacturer part number. Our wire is made in the USA. Manitoba - MB, Saskatchewan - SK, Alberta - AB, British Columbia - BC, Alabama - AL, Alaska - AK, Arizona - AR, Arkansas, AR, California - CA, Colorado - CO, Connecticut - CT, Deleware - DE, Florida - FL, Georgia - GA, Hawaii - HI, Idaho - ID, Iowa - IA, Illinois - IL, Indiana - IN, Kansas - KS, Kentucky - KY, Loisiana - LA, Maine - ME, Maryland - MD, Massachusetts - MA, Michigan - MI, Minnesota - MN, Mississipi - MS, Missouri - MO, Montana - MT, Nebraska - NE, Nevada - NV, New Hampshire - NH, New Jersey - NJ, New Mexico - NM, New York - NY, North Carolina - NC, North Dakota - ND, Ohio - OH, Oklahoma - OK, Oregon - OR, Pennsylvania - PA, Rhode Island - RI, South Carolina - SC, Tennessee - TN, Texas - TX, Utah - UT, Vermont - VT, Virginia - VA, Washington - WA, West Virginia - WV, Wisconsin - WI, Wyoming - WY, Newfoundland - NFLD, Nova Scotia - NS, Prince Edward Island - PEI, New Brunswick - NB, Quebec - QC, Ontario - ON.